We at real estate agency Abitare pride ourselves on giving best service and professional advice to all our customers who are planning to buy or sell a property in Le Marche. We have a long term experience in the selling of villas and farmhouses throughout the region with the aim of selecting only charming and quality properties. All properties that you will find with us are the result of a daily careful research in the most beautiful and fascinating places, from the peace and quietness of the mountains up to the more lively and sparkling atmosphere of the coastal areas. Only properties that meet these important requirements will be part of the offers on our portfolio. Our main goal is to give customers a quality custom tailored service, characterized by maximum availability and expertise at every step of the purchase and sale of real estate. At Abitare we have a staff made up of technical experts with perfect knowledge the of the entire territory and of the building types, who will help you in choosing the right property with discretion and confidentiality. Our staff also built up valuable experience in renovating and refurbishing homes thanks to our internal architecture department that will help you in any need you have for your new home in Le Marche. 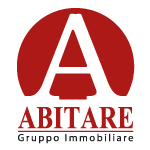 Abitare is an official real estate agency enrolled at the Chamber of Commerce of Ascoli Piceno and is partner of many other agencies throughout Italy and Europe which guarantees great visibility on the real estate market and choice for buyers. We would be pleased to welcome you any time at our headquarters in San Benedetto del Tronto (AP) Corso Giuseppe Mazzini 213, ground floor. We would like to transmit you the love we have for this area and will to our utmost best to make your dream of having your Italian home come through!